However, one thing we have never mentioned – and is something I only became aware of recently – was just HOW MUCH pineapples were coveted during the high times of royal and aristocratic affairs, even centuries after its initial introduction. 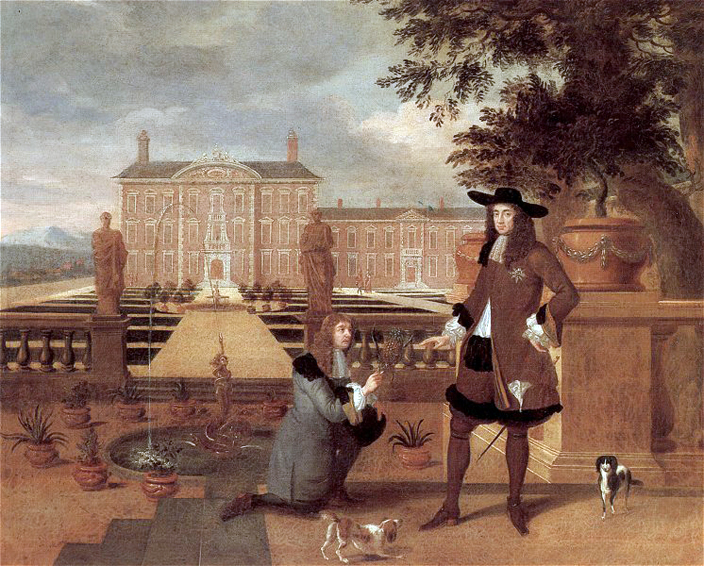 A seventeenth-century painting of King Charles II receiving the first pineapple ever to be grown in Britain from his gardener. The depiction of the scene is a reflection of just how important an event it was. It was celebrated so much so, in fact, that if you were hosting a worthy soiree, you would inquiry about RENTING a pineapple for the night and show it off to all of your most valued guests. Don’t believe us, check out the rest of the story here at FoodBeast.com.